Electronic waste is a fact we all have witnessed in our last part of article ‘6 Facts to Believe E – Waste are an Increasing Menace – Part 1’. In this part we will talk about further reasons for it becoming a menace to counter immediately, with strong laws and regulation. People who jump into conclusion, that e – scrap is just a fear factor, are still being immature as it is world’s most dangerous and heavy pile of trash. It is also world’s most expensive trash, given its reusability, resale value, and extracting valuable metals. On the other hand if electronic waste disposal are not done seriously, then it can well impact our ecosphere and create an imbalance. We are already facing tremendous environmental degradation due to pollution, deforestation, and lack of conservation awareness. Adding e – waste to the existing problems, will only make it too risky for humans to counter. However, e – scrap has already being a menace, but it is yet to be devastating. It is impacting our environment, but we still have time to control it. If we don’t do more on time, we will probably end up facing harmful consequences. This pile of e – scrap consists of metal like lead and mercury, which can easily leak and slip into water bodies or mix with air on burning. Both leaking into water bodies and burning to mix with air can cause harmful disease in humans. The water with lead or mercury poisoning will become unfit for drinking or utility purpose. Using the water for any purpose may cause deadly disease in humans and animals. On the other hand, inhaling oxygen containing mixture of lead or mercury gas on burning e – scrap can well lead to respiratory diseases. So, we have to be careful, there are more consequences, which can devastate our civilization. 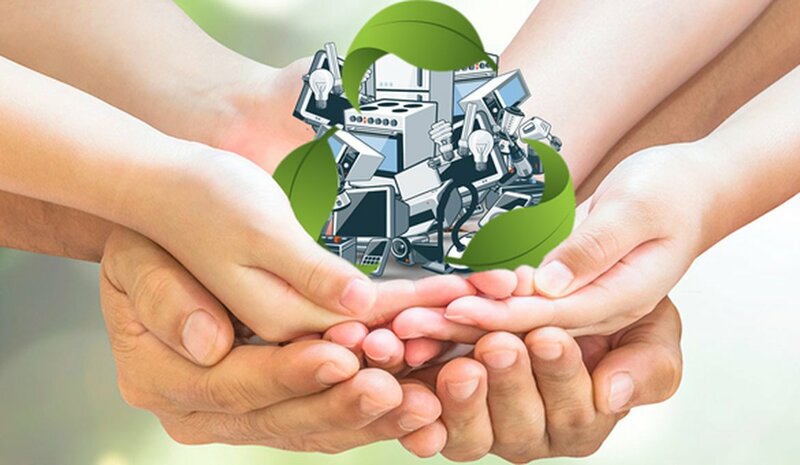 Let’s now check the facts that make computer equipment recycling or e – scrap recycling an important step to undertake. Recycling can benefit the economy, as according to a data every year ‘Americans’ dump phones with precious metals like gold or silver worth US$ 60 Million. It is measured that 1 ton of circuit boards contain 40 – 800 times more gold in comparison to the mining of 1 ton ore.
1 ton of circuit boards also contain 30 – 40 times more copper in comparison to 1 ton of mining of ore. The latest survey of ‘United Nations’ concluded that 20 – 50 Million metric tons of e – waste is dumped annually. This survey is for global index, and took into consideration the rate of e – scrap globally. Guiyu, China the location where ‘United States’ dumps its e – waste. The e – scrap is then transported to the city interiors, and they litter the streets. It is observed by human right groups that the level of lead poisoning amongst its residents is abnormally high. Note: We need a process and regulatory body to dismantle the e – scrap. If you do it carelessly will harm the humans present around. In India it is done effectively via advanced technology. 2% of e – scrap is represented by ‘Americans’ but strangely it contains 70% of toxic waste. The global e–scrap will increase by 8% in coming years. It is considered 80% of e – waste is exported to Asia. The Asian countries will have to adapt a strong law, regulation, and technical advancement to dismantle the e – scrap and make profits out of it.